Roodenburg, J. 2014. The Dutch approach: combining aid and trade and working together for effective private sector development. GREAT Insights, Volume 3, Issue 6. June 2014. In pursuit of a more coherent policy for development cooperation, Lilianne Ploumen was appointed Minister for Foreign Trade and Development Cooperation in November 2012. A significant decision since it was the first time that the Dutch government decided to combine efforts to boost exports with those of fighting poverty. Adapting to a new economic reality in which the private sector has a crucial role to play, Minister Lilianne Ploumen(1) laid out her new agenda for aid, trade and investment. An agenda that embraces three ambitions: to eradicate extreme poverty within a generation, to promote sustainable and inclusive economic development worldwide, and to facilitate success for Dutch companies doing business abroad. Minister Ploumen pursues a combined agenda for aid, trade and investments. (2) As such, the Netherlands has now taken steps towards a more coherent and sustainable agenda for aid and trade. Improving and facilitating synergy between aid and trade with private sector development at the interface has many advantages. 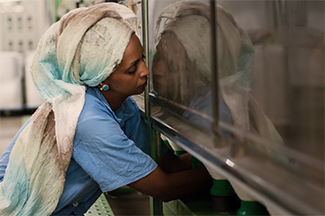 It creates sustainable growth and decent jobs in both developing countries and The Netherlands. It lays the foundation for an effective new partnership with developing countries experiencing economic transformation. Building a trade relationship starts with opening up markets and promoting private sector development. Building on the relations of development cooperation makes it easier to become strong trade and investment partners. The new policy also encourages investments and trade activities in parts of the world often overlooked when it comes to doing business. This benefits both people and the environment, creates employment opportunities, and makes the transfer of knowledge and skills possible. Combining the two agendas is both rational and challenging. In essence, with our new agenda, we aim to find win-win solutions: contributing to sustainable and inclusive growth in low and middle income countries, whilst promoting Dutch businesses to invest in and trade with these countries, and finding and accelerating innovative solutions with the capacity to contribute to sustainable and inclusive growth throughout the world. These are the solutions we search for every day. “Private sector development is at the heart of the agenda for aid, trade and investments because sustainable and inclusive growth starts with a better business climate:. It allows the private sector to develop jobs and generate sustainable economic growth. A good business climate is important not only for commercial parties in low and middle income countries, but also for Dutch SMEs wishing to operate there. For any small or medium enterprise (SME) to succeed, whether Dutch, Vietnamese or Congolese, an environment that facilitates the creation and development of SMEs is required. Our activities therefore invest in a better business climate in low and middle income countries, such as increasing access to markets, building trustworthy institutions and constructing decent infrastructure. The new approach is mutually beneficial. The integration of low income countries into global supply chains is necessary to trade beyond national borders and to receive foreign investments. For example, inadequate knowledge of the market and quality standards for products to be admitted to the European market are a barrier to producers in low and middle income countries. The Centre for the Promotion of Imports from Developing Countries (CBI) helps exporters in these countries resolve these issues themselves and take advantage of any opportunities to connect with import chains. Similarly, emerging markets are attractive for Dutch companies because that is where the potential for growth lies over the coming decades. Yet we only encourage an increase in sustainable and inclusive trade and business. For example through the Sustainable Trade Initiative (IDH) which focuses on making marketing chains more sustainable. 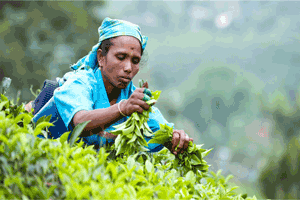 In 2013, for example, 560,000 small tea producers in Kenya were certified thanks to IDH. Private sector development is also about providing direct supports to businesses. For example, SMEs have very limited access to finance: it is the main constraint for entrepreneurs to start or expand their business in a low or middle income country. To overcome this liquidity squeeze, the Dutch Good Growth Fund has been created, providing an innovate solution to this problem. Not only will the fund create financing opportunities for local SMEs in low and middle income countries, it will also enable Dutch entrepreneurs to invest in or export to these countries. As such, it effectuates our goal to integrate aid and trade: Dutch SMEs are supported to do business in low and middle income countries and local SMEs gain access to finance. To further reduce the financial vulnerability of SMEs we also, amongst others, strengthen the insurance industry in low and middle income countries, allowing it to develop products for people on low incomes. One good example is the Health Insurance Fund (HIF) administered by the Dutch NGO Pharm Access International. The goal of HIF is to develop health insurance for people who cannot pay their own medical expenses and often have no official documents. The publicly-funded HIF has led to the establishment of a private investment fund: the Investment Fund for Health in Africa (IFHA). The IFHA is a private investment fund, established with an initial donation from Achmea, Aegon, SNS Reaal, Heineken, Unilever and Shell. It currently has assets totaling €50 million and invests in SMEs in the medical sector in low and middle income countries. We support Public Private Partnerships (PPPs) because they can encourage investment in sustainable development activities. Dutch companies, NGOs and knowledge institutions have a wealth of knowledge and expertise that can be pulled together around our development goals. The biggest constraints for Dutch entrepreneurs to invest abroad are that many companies are unfamiliar with local circumstances and have difficulties in finding a suitable business partner. This is why we support new partnerships, sometimes between unusual partners. If needed, we will also become a partner ourselves, for example to support a favourable business climate in cooperation with counterpart authorities. Building PPPs allows knowledge to transfer and to build a sustainable business model. An example of a successful and innovative Public Private Partnership is The Global Alliance to Improve Nutrition (GAIN), an alliance to reduce malnutrition through sustainable strategies aimed at improving the health and nutrition of populations at risk. As a result, over 300 million women, children and girls are consuming more nutritious foods. In the coming years, our goals are to accomplish the objectives to eradicate poverty, accelerate inclusive and sustainable growth, and facilitate success for Dutch companies worldwide. Minister Lilianne Ploumen for Foreign Trade and Development Cooperation is paving the way for synergy and sustainable solutions. “Successful aid removes obstacles for sustainable economic development and opens the door to trade and investments”. To succeed in our efforts, cooperation with the private sector, through PPPs or development funds, with other governments, knowledge institutes and civil society, is fundamental. Only by cooperating, can the whole become more than the sum of its parts. 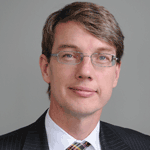 Jeroen Roodenburg is Ambassador of Private Sector and Development Cooperation at the Ministry of Foreign Affairs, The Netherlands.